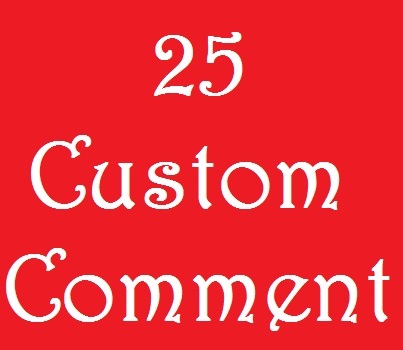 I will add 25 Custom YT Comment 1-10 Hours in time add on your videos only $1. All Comments are Non-Drop and all time active. All Commenting from my google Account and Channel. Note: Sent me your Comments Sentence. 3. All manually given and real. 6. Life time set Non-Drop. 7. Spacial offer for Seoclerks Buyer/Seller. Real People Commenting is ranked 5 out of 5. Based on 948 user reviews.